To impart more seasonal cheer than Slade, this novelty Christmas jumper is a December must. 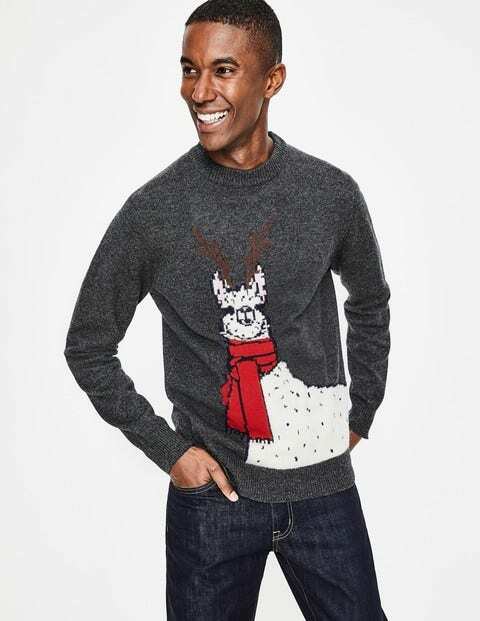 Featuring a rather fetching festive llama (and why not? ), it comes with a contrast neckline and hem with ribbed cuffs, as well as a practical crew neck and relaxed fit in a soft lambswool blend. Perfect for parties and long lunches alike, it offers guaranteed smiles.